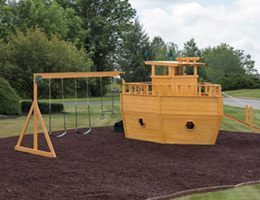 Enjoy the outdoors with a new playset for the kids! 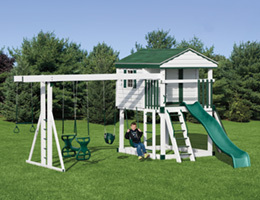 We have swingsets with slides, swings, towers, decks, climber bars, rockwalls and more. Call or stop in today to learn more.